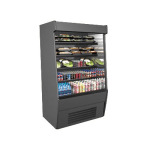 The Structural Concepts CO47R-E3 Express 3 Oasis® vertical open-air cooler has four metal shelves that are adjustable to suit different product heights and are removable for cleaning. Shelf lights brighten the interior while mirrored end panels enhance product presentation. Blending into any design scheme, the interior and exterior have a black finish. 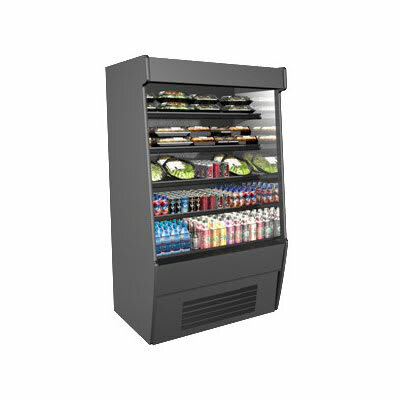 The self-contained refrigeration system keeps the temperature below 40 degrees Fahrenheit in the Structural Concepts CO47R-E3 vertical open-air cooler, which includes casters for transportation. You can find out more about open-air merchandisers in the open-air coolers buyers' guide.